The Premier Directory for Caribbean Businesses. For best results: Select the Country from the drop-down list; then enter a Search Word, or select a Category - displayed as you type. WELCOME TO CARIBFIND.TEL - THE PREMIER BUSINESS DIRECTORY FOR BUSINESSES IN THE CARIBBEAN AND 'CARIBBEAN-OWNED' BUSINESSES IN NORTH AMERICA. Do you have a business? Get a Free Basic Listing, or you can subscribe to a Premium Listing. 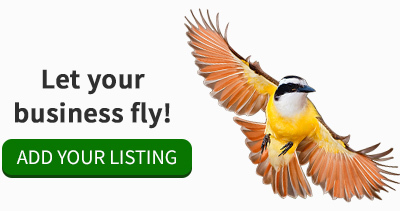 If you find your business already listed, you can 'claim' it and enhance it - for free. Don't have a business? Join as a Community Member. You can redeem Deals. You can rate and comment on listings. You can receive offers and coupons from participating vendors and corporate sponsors . Join now. We serve the whole Caribbean with high quality printed material, including text books, magazines, posters, brochures and any advertising material. We have the latest machines and technology and we couple that with superior technical skills. Call us! Sign up and stay in touch with Caribbean businesses. Sharpen your professional skills with educational business content. Receive offers and coupons from participating vendors and corporate sponsors.